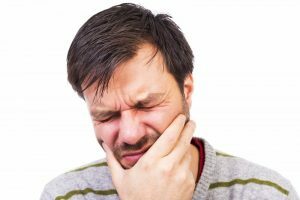 Often, it’s an injury or accident that causes a toothache. A tooth may become dislodged or knocked sideways in its socket. This can cause pain and discomfort that may not be eliminated by over-the-counter medication. Root canal therapy and medication may be needed to restore your tooth to health. A splint may also be necessary for a few weeks to reposition the tooth properly. Tooth decay can also be the cause of tooth pain or discomfort. Decay that progresses into the nerve or pulp of the tooth will cause an infection that can be very painful. It’s important to note that a dental infection doesn’t go away without treatment and it will get worse. An infection that is left untreated will progress and could result in tooth loss, affect surrounding teeth, and it can even travel to other critical parts of your body such as your brain. If you are experiencing a toothache, you should contact your dentist right away. Root canal therapy can eliminate your infection and preserve your tooth if you are proactive about seeking treatment. If your tooth has sustained trauma or an injury, you should also contact your dentist right away. Acting quickly to treat a dislodged or even knocked out tooth offers your dentist the best opportunity for saving it. Are You Unsure Whether Your Tooth Need Treatment? 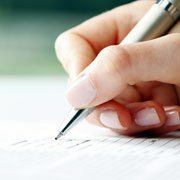 You are encouraged to contact your dentist anyway, even if you are unsure you’re experiencing a true dental emergency. Your dentist’s knowledgeable team is often able to assess your situation over the phone and help you determine if you need immediate attention. 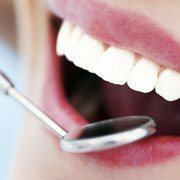 Don’t ever hesitate to contact your dentist if you are in pain. Dr. Sheri McIntosh and her team offer exceptional dental care and service to their patients whether you are experiencing a dental emergency or you just need your next cleaning. Using an approach they like to call the Distinguished Patient Experience, they offer high-quality dentistry to patients in a way that impacts not only their oral health but also their overall health and well-being. If you would like to contact Dr. McIntosh, she can be reached through her website or by calling 817-337-8300.